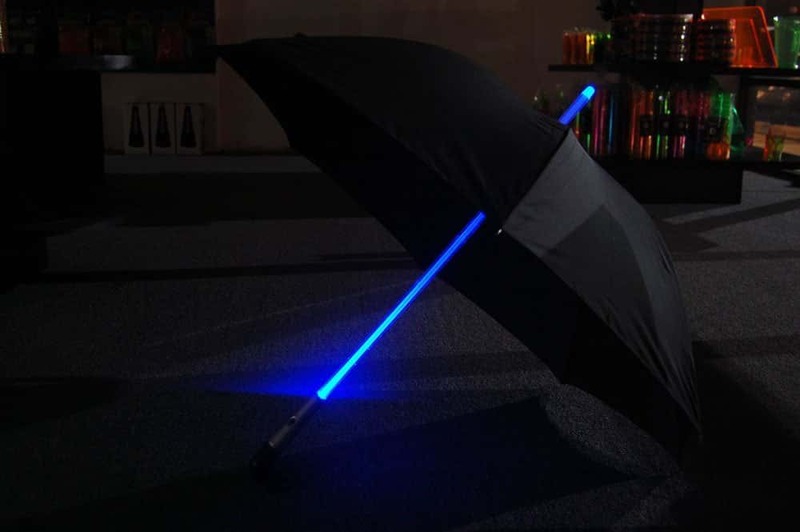 This cool blue LED umbrella has a futuristic vibe and is perfect for night time use. 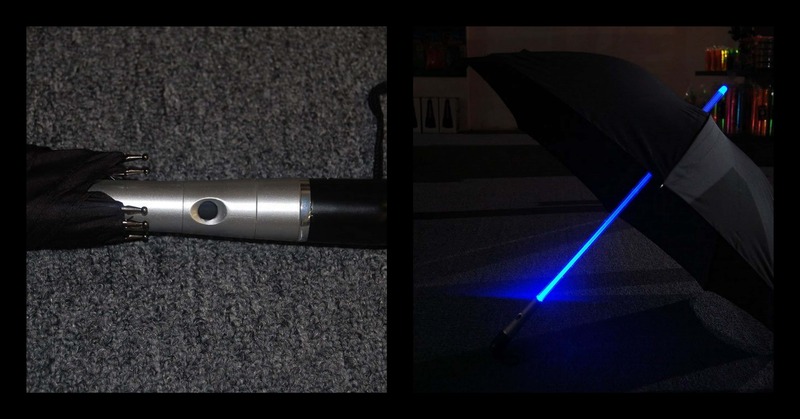 Vision can often be minimal in bad weather, this umbrella will help ensure that drivers can see you. The umbrella itself is of high quality and large enough to keep you dry. A very useful product for anyone who walks at night. The light is built into the shaft and it is simple to operate. You can turn it on or off at the touch of a button. The light is powered by three button batteries that are included. A great gift idea for anyone who loves fun geek stuff!